Designed with a performance shaped head and pocket for all around playability, ideal for mastering the fundamentals of the game. Unchanging, game ready and weather proof pocket. Meets NFHS, US Lacrosse & NCAA specifications. 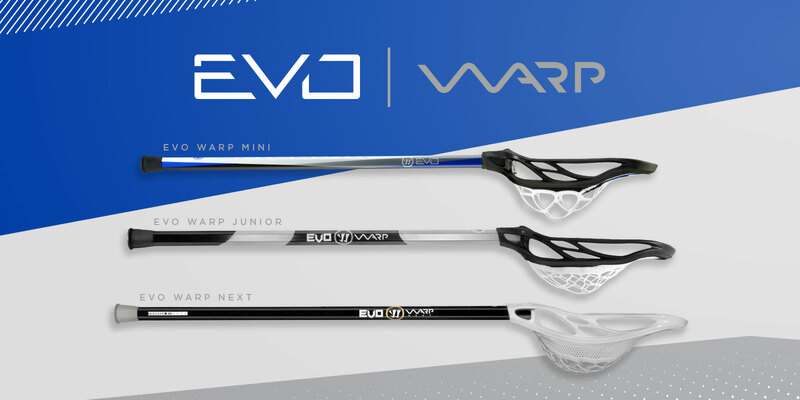 Designed to give the entry level player under the age of 10 the best possible playing experience, ideal for learning the fundamentals of the game. Meets US Lacrosse 10U specifications. 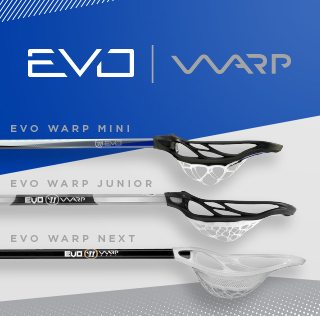 Designed as a smaller version of our Warp JR to give a player under the age of 6 the best possible introduction to the game. Unchanging, consistent and weather proof pocket allows you to use this stick anywhere, anytime. Meets US Lacrosse 6U specifications.